The exhibition Systems of Nature presents two recent installations by Chris Welsby, a British artist who uses moving image technology to explore the representation of nature, the passing of time and the forces of the weather in relation to the filming process. 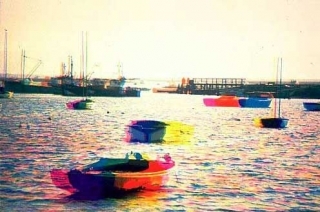 Welsby became known as one of the key figures of British artists’ film through celebrated works such as River Yar (1972, in collaboration with William Raban) and Seven Days (1974). 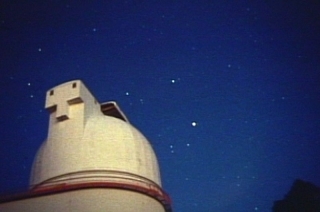 In his early films he applied techniques such as using the power of the wind to control camera movement (Wind Vane, 1972) and to alter shutter speed (Anemometer, 1974). More recently, digital technology has enabled Welsby to create increasingly complex installation work. In Lost Lake #2 (2005) an image of a lake is projected from above onto a raised surface. At times it appears as a motionless mirror image. As the surface of the lake becomes agitated, ripples move faster and the compression of the digital image pixellates the natural diffraction effect of the water. 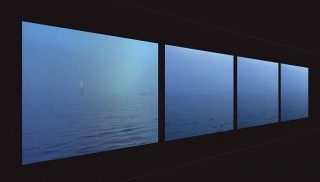 Disruption of water’s natural course is also at the core of the second work, At Sea (2003), in which four large screens present an apparently naturalistic representation of a seascape. Sustained viewing reveals the image to be four different shots arranged to create a projected panorama. The immersive character of this installation evokes a real sense of looking out at sea, but also points to the perceptual limits we encounter when we try and ‘see’ the enormity of the ocean. On Thursday 8 November at 6pm, the history and practice of multi-screen projection in artists’ film and video will be explored in a discussion between Chris Welsby and William Raban. The event will include a rare presentation of Raban and Welsby’s twin-screen film River Yar (1972). 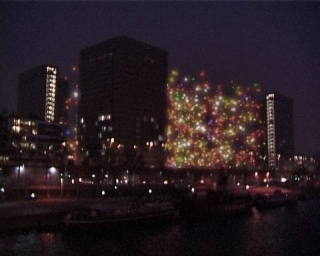 The exhibition is also complemented by Systems of Nature screenings at BFI Southbank from 7-10 November, featuring Chris Welsby’s films, an in-conversation event and two programmes of works by contemporary artists which explore similar concerns and techniques. Chris Welsby was born in Exeter in 1948 and has lived in Canada since 1989, where he is currently a Professor of Fine Art at Simon Fraser University in Vancouver. Systems of Nature is Welsby’s first solo exhibition in Britain since 1995. The exhibition and related events are curated by Steven Ball, Mark Webber and Maxa Zoller for the British Artists’ Film and Video Study Collection at Central Saint Martins College of Art and Design. 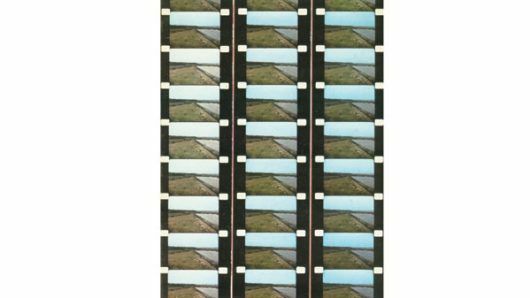 This series of programmes begins with a retrospective of single screen 16mm films by Chris Welsby a British artist whose work explores the representation of nature, the passing of time and the forces of the weather in relation to the filming process. In my work the mechanics of film and video interact with the landscape in such a way that elemental processes – such as changes in light, the rise and fall of tide or changes in wind direction – are given the space and time to participate in the process of representation. The Chris Welsby presentations are complemented by two programmes of recent film, video and digital media, which extend and expand upon Welsby’s subjects and processes, concerned as they are with a variety of landscapes and the ‘natural world’ in relation to technology. These processes take a number of forms and techniques such as time-lapse in the work of Emily Richardson and Jeanne Liotta through to more recent experiments such as Semiconductor’s digital constructions of imaginary weather systems and Susan Collins’ real-time pixel fragmentation of the landscape. 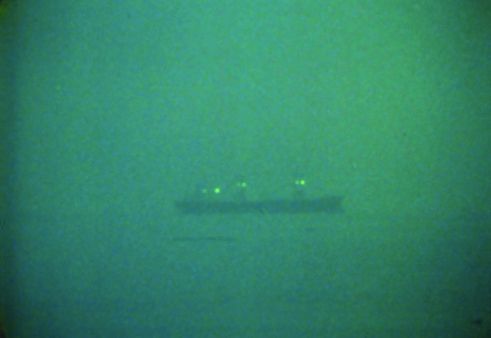 A conversation event with Chris Welsby, Catherine Elwes and William Fowler will concentrate on seascapes in the moving image. Chris Welsby has been exhibiting work since 1969. 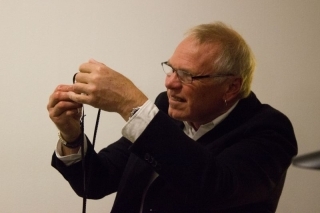 He is renowned as a landscape artist and pioneer of moving image installations. 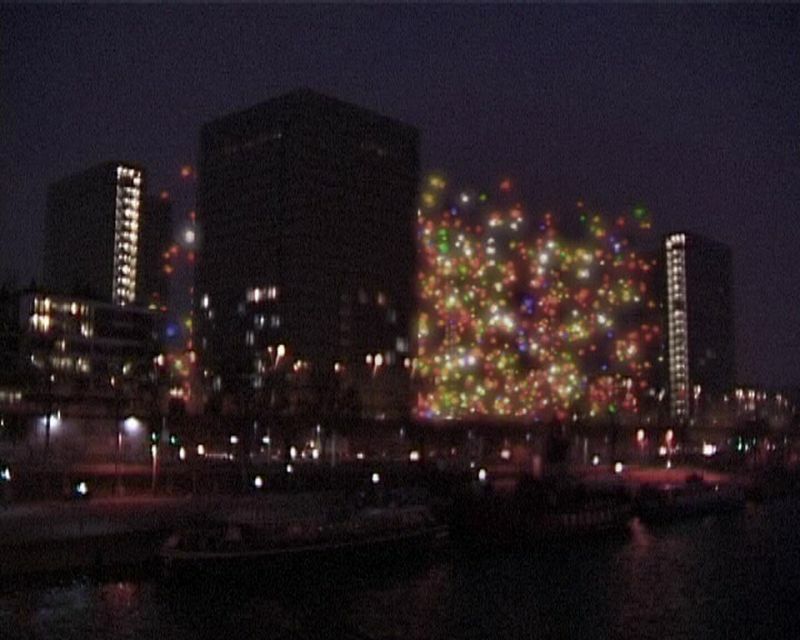 These screenings accompany the exhibition “Systems of Nature” at the Lethaby Gallery, Central Saint Martins College of Art and Design (6 November – 13 December 2007), which presents two of Welsby’s most recent installations for the first time in the UK. Curated by Steven Ball, Mark Webber and Maxa Zoller for the British Artists’ Film and Video Study Collection at Central Saint Martins College of Art and Design. 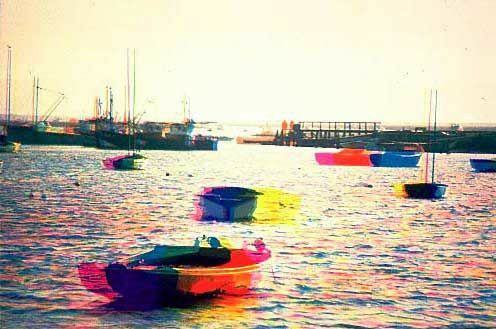 Seascapes have a long history in filmmaking and continue to fascinate moving image artists. Chris Welsby has made a number of works that contemplate the ocean and the inability of the camera, the frame and the viewer to appreciate its enormity; including At Sea, which is installed at the Lethaby Gallery, and Drift, which is screened later tonight. 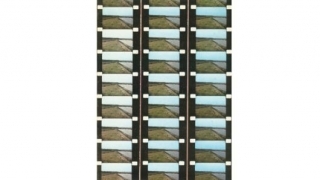 This conversation between Chris Welsby, Catherine Elwes (artist, writer and Reader in Moving Image Art, Camberwell College of Arts) and William Fowler (Curator of Artists’ Moving Image, BFI National Archive) will reflect on the phenomenon of the moving image seascape from early ‘rough seas’ films through to contemporary practice. The exhibition “Systems of Nature” is at the Lethaby Gallery, Central Saint Martins College of Art and Design, Southampton Row, London from 6 November – 13 December 2007. Welsby’s films are dialogues between the filmmaker and the natural elements: the wind controls the movements of the camera in Tree and the film speed in Anemometer. Later films address environmental concerns, such as the threat of radiation as a Geiger counter provides Sky Light’s post-Chernobyl soundtrack. Shifting from environmental structuralism to a more observational mode, the final film Drift has the viewer literally drifting off into a world beyond gravity, into an abstract space between sky and sea. Chris Welsby will introduce the screening and be available for questions. Curated by Steven Ball, Mark Webber and Maxa Zoller. The history and practice of multi-screen projection in artists’ film and video will be explored in a discussion between Chris Welsby and William Raban, moderated by Maxa Zoller. The event will include a rare presentation of Raban and Welsby’s twin-screen film River Yar (1972). Moving from ocean to sky and back to the land, these six films respond to nature in less programmatic ways. Peter Hutton’s camera explores the coastal landscape and swirling waters of the Irish West Coast, whilst David Gatten immerses raw film stock in seawater, allowing the ocean to inscribe its presence in constantly shifting abstract patterns. Three films use time-lapse and long exposure to reveal the celestial mysteries of night time, and the final work gently lifts us from our reverie with an ecological warning. Curated by Steven Ball, Mark Webber and Maxa Zoller. Technological systems create, fragment and transform landscapes: a long video monitor stream, digitally mutated coastlines and strange urban microclimates introduce fascinating artificial worlds, blurring the boundaries between natural and constructed landscapes. Starting with documentation of Chris Meigh-Andrews’ video installation Stream Line and passing through a variety of spellbinding single-screen film and video environments, the programme also incorporates a presentation of Susan Collins’ most recent internet transmitted, real-time reconstruction of Loch Faskally in Perthshire.